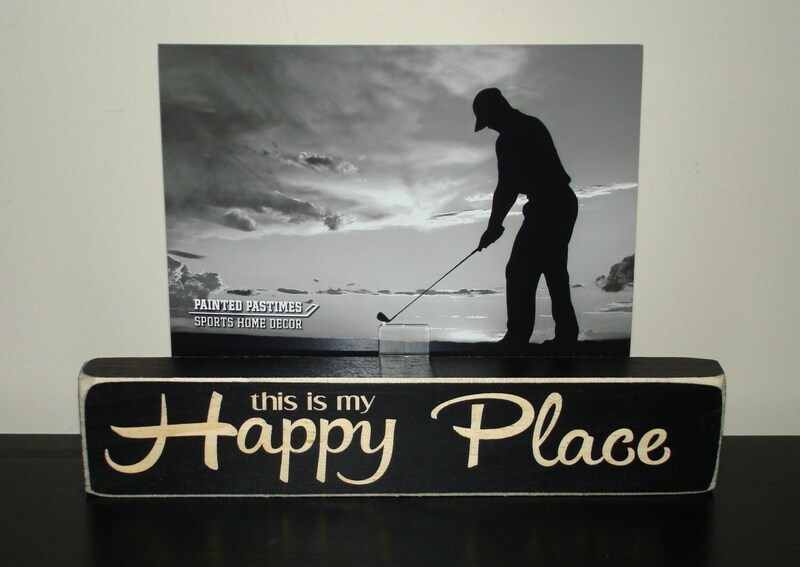 "This is my Happy Place" sign and photo holder. 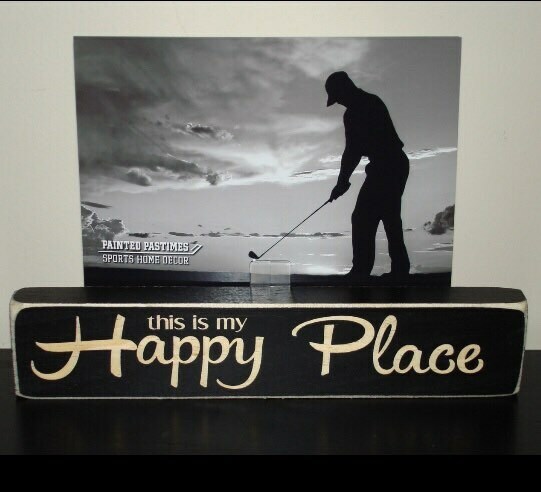 Perfect for anyone who loves golf! Just replace our photo with yours. This can be used with a photo of any sport or favorite place. 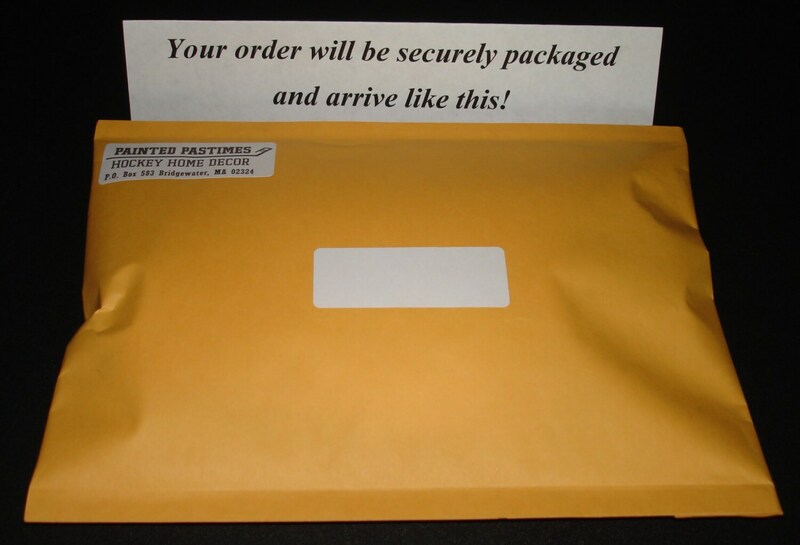 You will love the quality of this photo/sign.